It has been a strange week, which included a very strange 24 hours that saw two of my favorite people in the world become first time parents, a surprise wedding that took me off guard and the news from one of my oldest friends (and first girlfriend – in first grade she hit me and told me I was her boyfriend) that she was pregnant with her first child. None of it directly happened to me, but surrounded me, reinforcing self-absorbed what-the-hell-am-i-doing thoughts. And my solution, as always, is to write. (Which, I suppose, also answers the question). Last week I posted about Siberian composer Ilya Beshevli, and this week, as I continued to explore artists I was unfamiliar with courtesy of The Silent Ballet’s Top 100 albums of 2014 list, I found Akira Kosemura’s record Embers at #75 and it was the perfect soundtrack to write to and try to make sense of everything. It is a beautiful album made up of 19 tracks, most short, all under 5 minutes. It is slow, quiet, beautiful and meditative, allowing me to shut out the rest of the world and exist in pen, paper, words, piano and occasional strings. 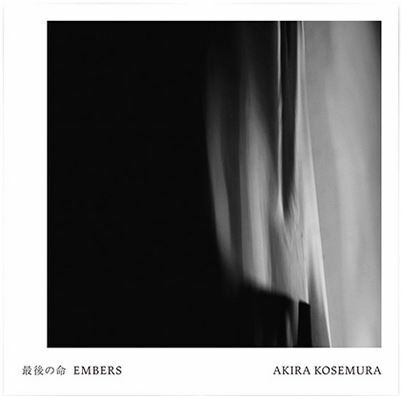 Born in 1985 and based in Tokyo, Embers is Kosemura’s seventh album to go along with three eps. Much of the information I found on him was in Japanese, so that’s about all I can share, but the music clearly speaks for itself. Here are two tracks from the record. Both are under 2 minutes and relatively simple, as well as absolutely beautiful. If they’re your kind of thing, definitely check out the rest of the album. Individual tracks can never give the same experience as listening to an entire record front to back.